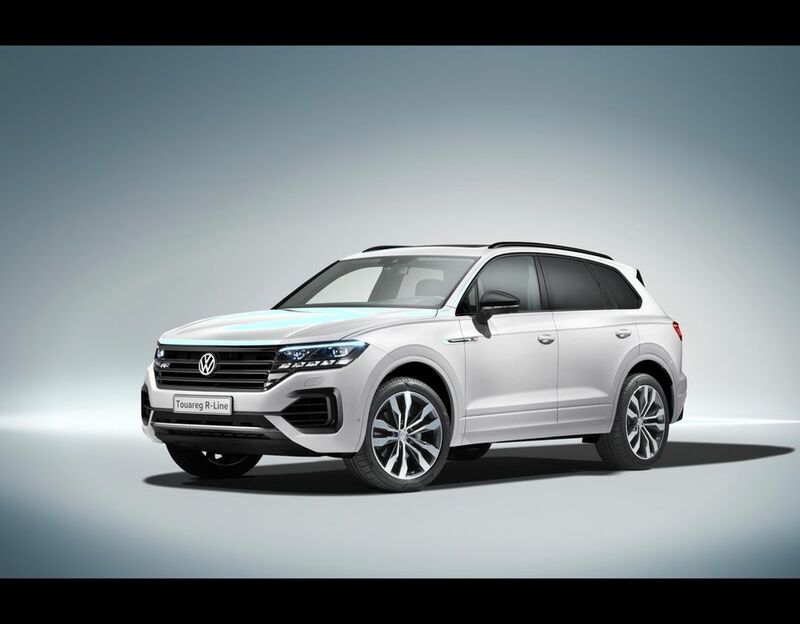 Volkswagen has revealed the new Touareg 2018 at an event in Beijing, China. 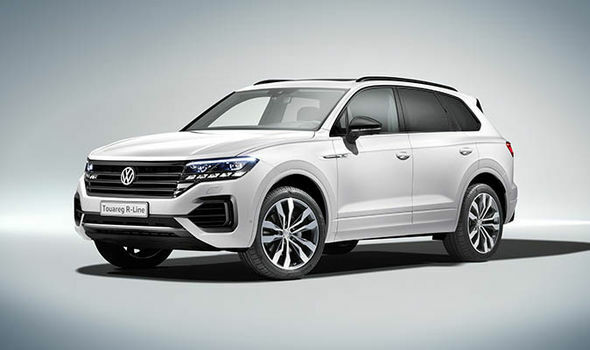 The third-generation version of VW’s flagship SUV has received a facelift, and is packed full of new technology and features. It is based on VW’s MLB architecture and is wider and longer dimensions than the previous generation: 4,878 mm long (+77 mm), 1,984 mm wide (+44 mm) and 1,702 mm high (-7 mm). The increased proportions have also allowed for a larger interior, most notably in the luggage compartment which has grown by 113-litres from 697 to 810 litres (with the rear bench up). The car has been given a new front-end, which is seemingly inspired by the new VW Arteon, with the LED headlights merged into the grille, which stretches across the front of the car. At the front, the wheel arches are larger and more muscular and the car sits on larger 18-inch alloy wheels, which give it and overall more dominant presence. The new car has the largest panoramic sliding roof of any VW car ever made, offering more natural light and space inside the cabin. At the rear the new L-shaped rear light LED clusters freshen up the car’s back-end design. There is a range of 13 exterior colours, three of which are new including: ‘Aquamarine Blue’, ‘Tamarind Brown’ and ‘Juniper Green’ (all metallic). Inside the car, Volkswagen is debuting the new Innovision Cockpit. The fully digitalised cockpit comprises of a 12-inch digital instrument display and a Discover Premium infotainment system (15-inch display). VW say the Innovation Cockpit focuses on the driver and adapts the assistance, handling and comfort systems to their personal tastes. It personalises to the driver’s specific needs and preferences and is also integrated with MirrorLink, Apple CarPlay and Android Auto. Other new features of the interior are, the Wi-Fi hotspot which is connectable for up to eight devices, and a new ambient lighting suite with up to 30 light colours, and optional high-end massage seats. 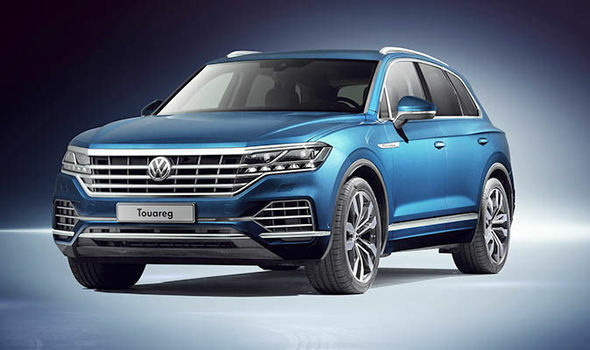 Volkswagen will be offering the Touareg with a new plug-in hybrid drive (270 kW/367 PS system power) in China initially. The exact European launch date for the Touareg with a plug-in hybrid drive is still open. In Europe, two V6 diesels with 170 kW/231 PS and 210 kW/286 PS will be offered at first. This will also be followed by a V6 petrol engine (250 kW/340 PS) and a V8 turbodiesel (310 kW/421 PS) for many different markets. The 231 PS TDI develops a maximum torque of 500 Nm, while the 286 PS TDI develops 600 Nm. The TSI reaches a maximum torque of 450 Nm, and the V8 develops a hefty 900 Nm. There is also a range of on-road and off-road driving modes which help the the engine, suspension and car’s dynamics to improve how it handles on the road. 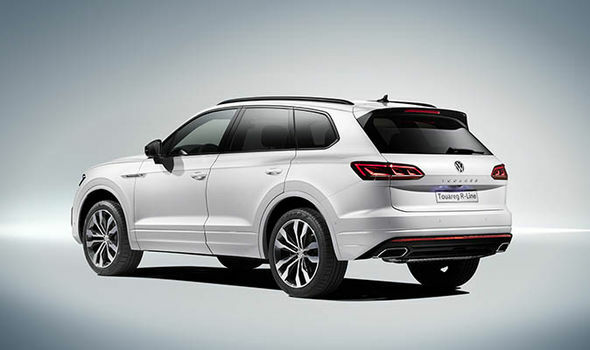 Road driving modes for the Touareg include: Eco Comfort, Normal, Sport and Individual, while off-roading driving modes include Snow, Off-road Auto, Sand, Gravel and Off-road expert. Volkswagen has also included a number of standard an optional driver assistance systems. They are: Traffic Jam Assist including Roadwork Lane Assist, Front Assist with City Emergency Braking and Pedestrian Monitoring, Front Cross Traffic Assist, Lane Assist, Side Assist, Parking and manoeuvring, Trailer Assist and Park Assist. A number of safety focused systems have also been added, including: Emergency Assist, Automatic Post-Collision Braking System 2.0 and Proactive occupant protection system. Full pricing and UK specs are expected to be unveiled later this year.